The 800 Series Muzzle Brake, which fits a variety of weapon systems, greatly reduces both recoil and muzzle rise so that the weapon falls straight back on target aiding in faster follow-on shots. Precision machined from Mil Certified American made stainless steel bar stock, coupled with exceptional threading for superb barrel mating. The 800 Series has a black magnesium phosphate finish that provides a rugged and durable finish, that will last under the most demanding conditions. The 800 Series is rugged and ready for anything you can throw at it, or fire through it. The 800 Series has gas port holes at approximately the 9 and 3 o’clock position to counter muzzle rise and aid in follow-on shot accuracy. 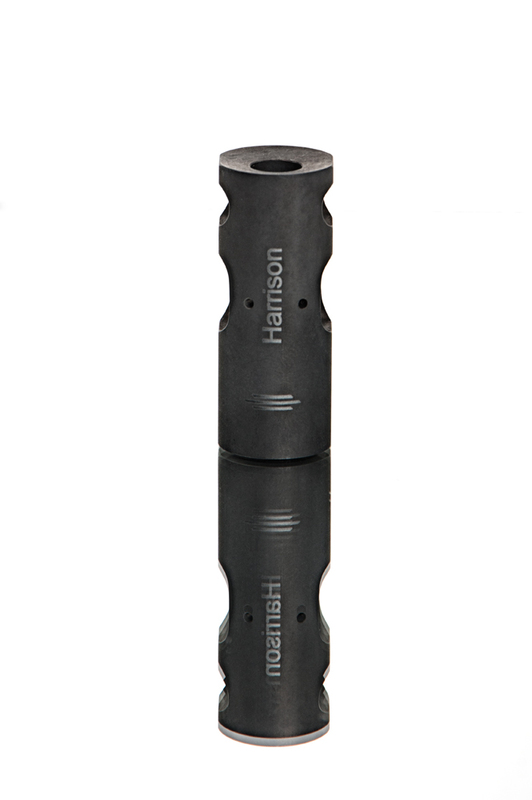 Each 800 Series Muzzle Brake is covered by Harrison Gear's UNLIMITED LIFETIME WARRANTY. The 800 Series is 100% American made from American materials. 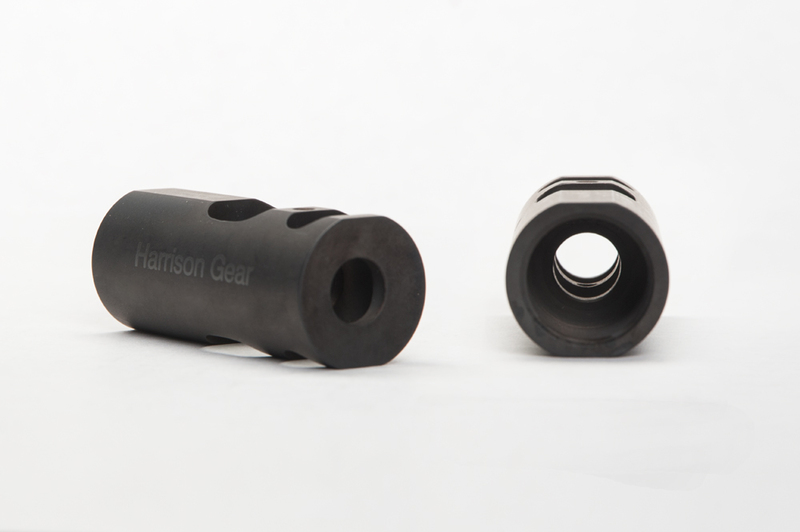 NOTE: The 800 Series Muzzle Brake may be permanently mounted to bring 14.5" barrels to legal length. For further information regarding such installation please contact a current and competent gunsmith or the BATFE. •Do not install crush type washers in conjunction with the 800 Series Muzzle Brake. Please use the included GemTech Precision Shim kits to properly time and mount the brake. I received the AK-47 muzzle brake for my WASR AK. The design and finish is very nicely done. 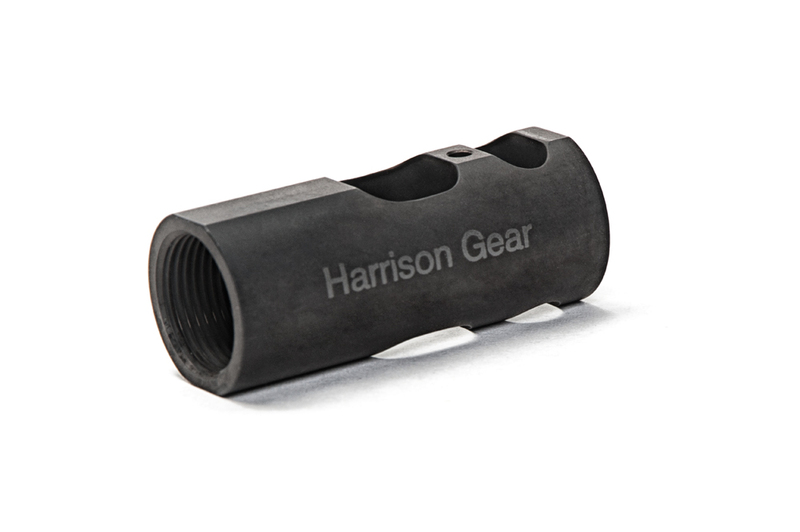 Installation was easy and everything was provided with the muzzle brake that you would need for installation. At the range the I tested the muzzle break at 50 yards. The break does a great job of directing the muzzle blast out at the 3 and 9 o'clock. With very little to no rise in the rifle this break allows you to easily maintain and stay on target shot after shot. I highly recommend this break for anyone looking for fast follow up shots such as 3 gun and othe competitive shooting. I will be adding more of these breaks to my rifles. The 800 brake was designed for the discriminating MSR (Modern Sporting Rifle) shooter that desires complete muzzle control. 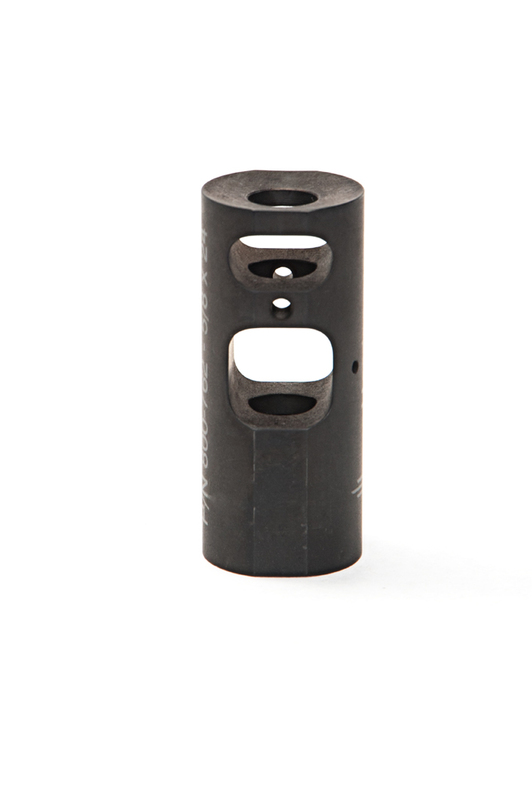 This innovative brake consistently delivers significant reduction in muzzle deviation. I am a true believer in the 800 brake and would recommend it to any MSR owner!